A perfect storm of events has left Florida in a severe sod shortage. It began in the spring of 2017, when a robust economy created significant growth and led homeowners and business owners alike to purchase sod for their properties. This growth in demand and subsequent sod shortage continued throughout the summer due to high volume sales in the sports, golf, and residential sectors. Then, hurricane Harvey and Irma struck in Texas and Florida in the fall, triggering a major disruption to the sod business cycle, excessive rainfall, and even severe drought. Now, as the summer of 2018 approaches, how should you approach Florida’s sod shortage? These tips will help you through. By nature of a shortage, sod is not readily available. If you know you will want sod at the beginning of autumn, be sure to place your order now so that your sod company has enough time to fulfill your order. 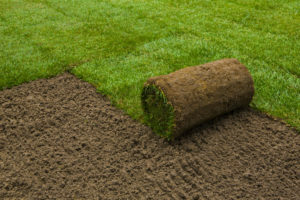 Prepare yourself for the possibility of a delay and remind yourself that your sod company is doing everything in its power to deliver the high-quality sod you want; some factors are simply out of their control. Patience isn’t easy, but it’s necessary in this situation. Flooding, droughts, and high demand cannot be controlled, so your sod provider is doing everything in its power to roll with the punches and satisfy your order as quickly as possible. Remind yourself that your sod will come eventually, and after it is installed you will be so happy with the final product that you will forget the extra time you had to wait. Settling never works out well in the end! Don’t purchase an alternative or secondary type of sod simply to have it installed sooner. It is worth the wait to receive the sod that you know will be the best for your property. Otherwise, you risk paying for and installing a sod that cannot thrive in the amount of sunlight, rain, or cold weather that your home or business receives. Wait for the right sod; you’ll be glad you did. Council Growers Sod, Tampa’s trusted source for farm-grown Florida sod, has been affected by the sod shortage just like other providers. Call (813) 633-8665 to place your order in advance and get the answers to any other sod shortage questions you may have.